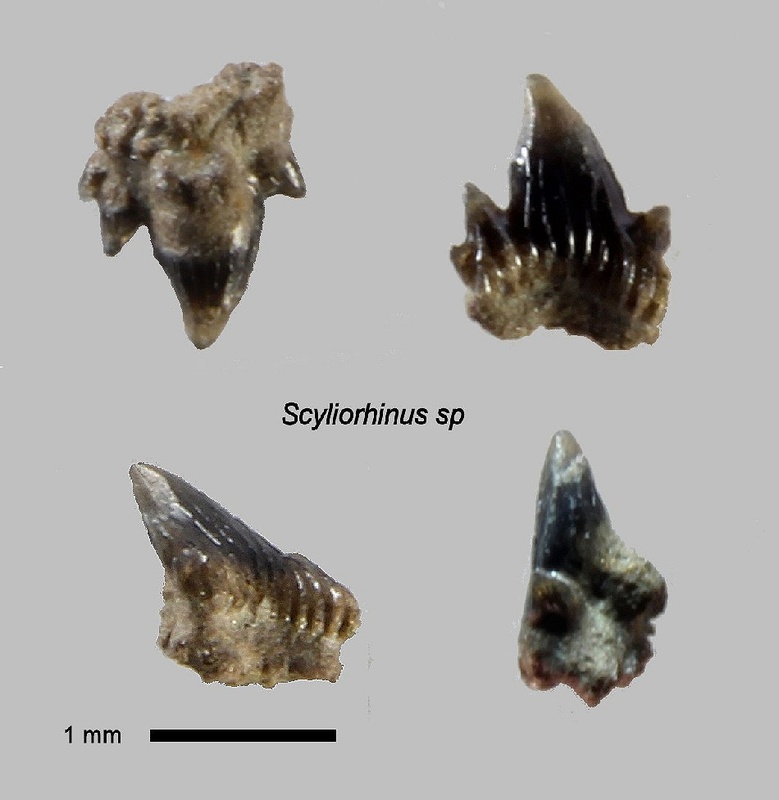 Scyliorhinus sp., commonly referred to as catshark are neat looking teeth but small. You can get a feel for the actual size from the pictures on the left. 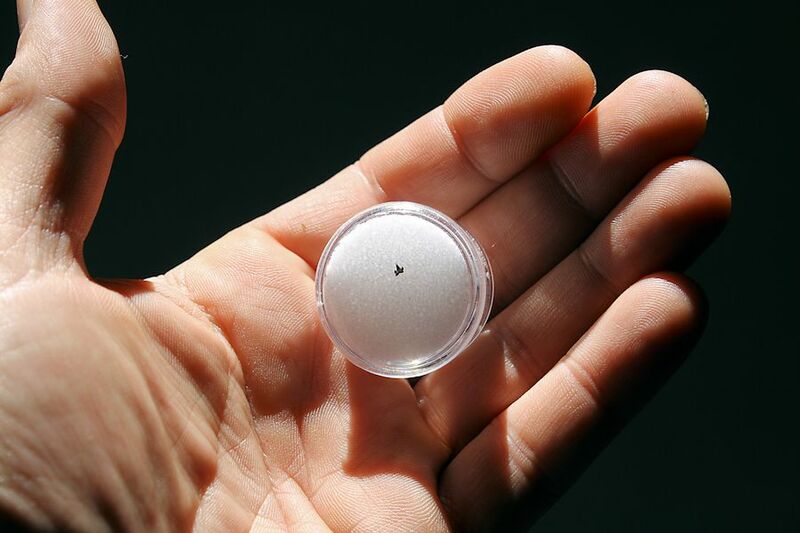 There's a small black dot on the right of the coin holder, that's a 1 mm catshark tooth. 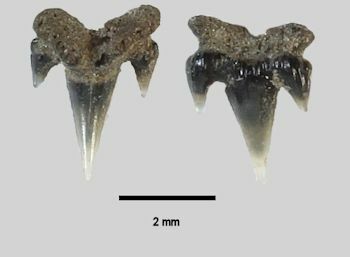 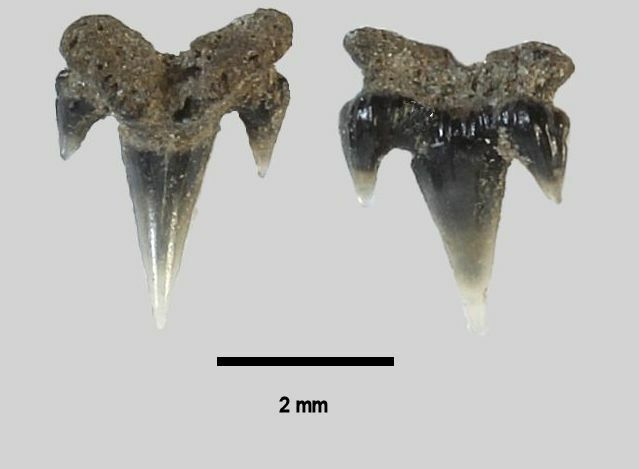 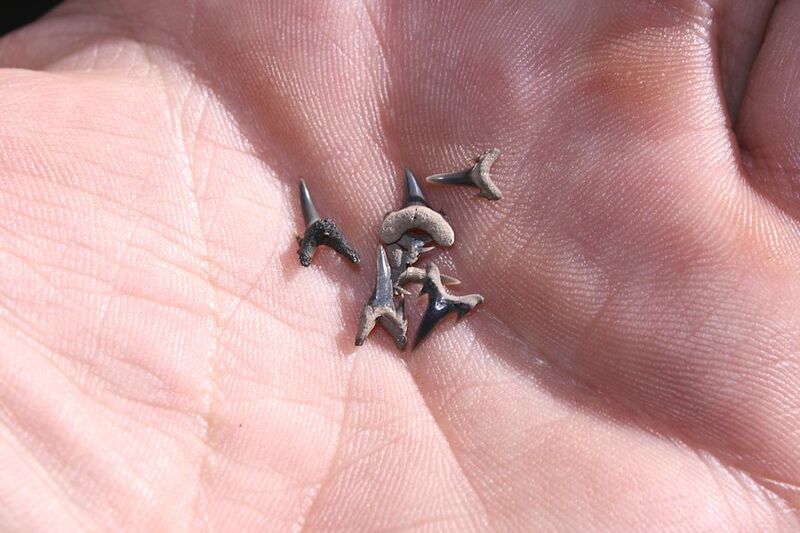 Mostly Cretaceous sand tiger teeth. 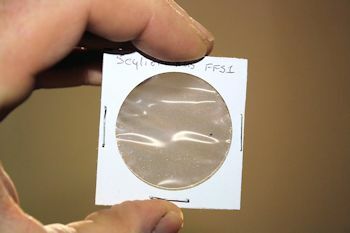 These show the typical size of micro shark teeth.